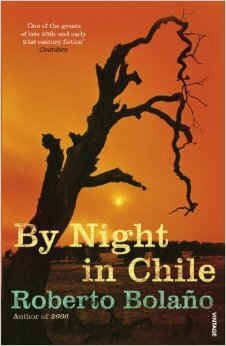 Roberto Bolaño’s By Night in Chile is a study in unreliable narration. It tells the story of the writer/priest/critic Sebastian Urrutia Lacroix as he reflects, from his death-bed, on certain events in his life, particularly those in connection to the Pinochet regime. Sebastian is haunted throughout his telling by a ‘wizened youth’ who seems determined to undermine his narration. This youth can be seen as a figment of Sebastian’s fevered imagination, a real person with secret knowledge of Sebastian’s affairs, or, an embodiment of Sebastian’s own repressed moral conscience. The narration itself makes no secret about the fact that Sebastian had ties to General Pinochet. As the narrator tells it, he was engaged to give the General and some of his supporters lessons on the politics of communism. We are led to believe that Sebastian had no choice in this scenario and that he was simply a victim of circumstance. His reliability is soon called into question, however. In Sebastian’s telling of events, he told his companion, Farewell, about these lessons after an attack of conscience–even though he was explicitly forbidden to speak of them. In this, his narrative betrays itself: ‘I shrugged my shoulders, as people do in novels, but never in real life,’ and later ‘I shrugged my shoulders again.’ It is possible that while Sebastian felt an attack of conscience, he never actually acted upon it. The discussion with Farewell may be a fiction, as is suggested by these shrugs that only happen in novels. In addition to the perpetual presence of the wizened youth and the self-betraying narration, Sebastian’s story struggles through his various fadings of memory–some of which appear extremely convenient. Early in the novel, Sebastian strips any sense of his own agency from allusions to a homosexual encounter. He describes his companion’s actions, and the banal conversation between them, but leaves out certain moments, moments that we must suspect implicate him in encouraging, or at least being aware of, the direction of the interaction. His memory likewise fades when he is describing how he came to stop attending the literary soirees of Maria Canales. He tells the story of how one night, a guest roaming the house found himself in the basement, where he discovered a room set up for interrogation and torture. It is not clear who this guest was, but the evasions and gaps in the narrative point to Sebastian as the discoverer. His words, ‘I was not afraid. I would have been able to speak out, but I didn’t know anything until it was too late,’ ring with the desperation of a guilty falsehood. This scene expands on a wider point about the role of the writer in violent times. In Canales’s house, the writers drink and hold intellectual conversations, while beneath them, people are being tortured. This image is laden with the imperative to speak out, yet Sebastian distances himself from such things almost to the last. The torturing presence of the wizened youth is the only indication that he is troubled by his dissemblance. At just 130 pages in my edition, this numbers among Bolaño’s shorter works, but it packs a lot into a short space. As a psychological study of guilt and repressed memories, and as a novella with a political imperative, By Night in Chile is a quietly powerful work. It also contains a lot of humour and knowing self-effacement regarding the position of writers and critics–and the aggrandised view they may have of themselves–which is always enjoyable to read.